Kent, UK - Chandeliers have continued to trend and this is maybe because they make a statement feature whatever your style. A chandelier creates timeless beauty with extravagant glass and scrolled detail or simple minimalist designs. Choose classic elegance, rustic country, industrial chic, art deco glamour or candle effect cosy. Antique, vintage or reclaimed metal of brass, copper, gold and wrought iron with a matte or polished finish will all add that unique style to any interior. Plus for those with the space opting for a larger chandelier will make lighting the focal point of any room. These lights can come with a past life story to add that extra special wow factor too. Upcycled chandeliers are another style option designed by recrafting or repurposing old items and materials such as salvaged wood, metal and fabric. Edison filament light bulbs can be used as a feature in upcycled lighting to create a more vintage feel. Modern LED filament bulbs are now energy efficient too. 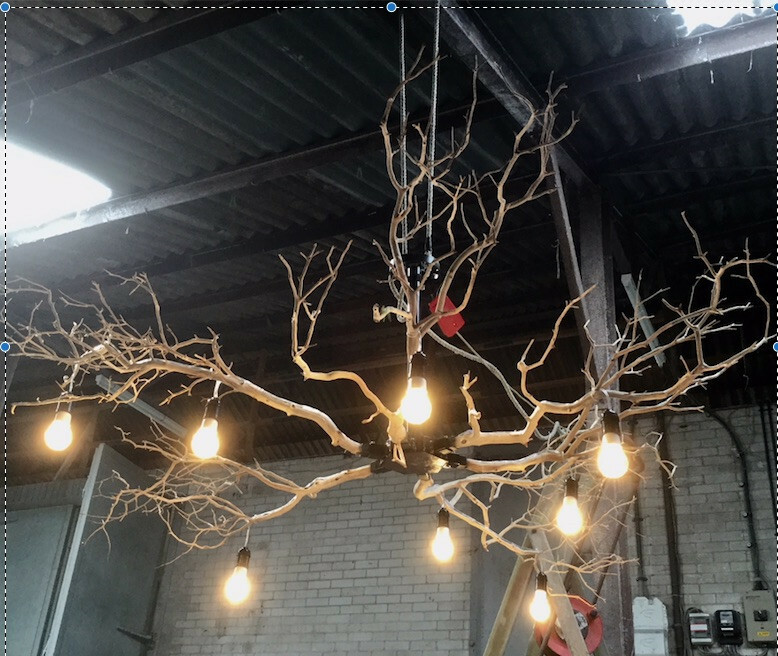 One of the latest innovative lighting design ideas from Salvo code member, Antiques By Design is a chandelier featuring sandblasted branches. 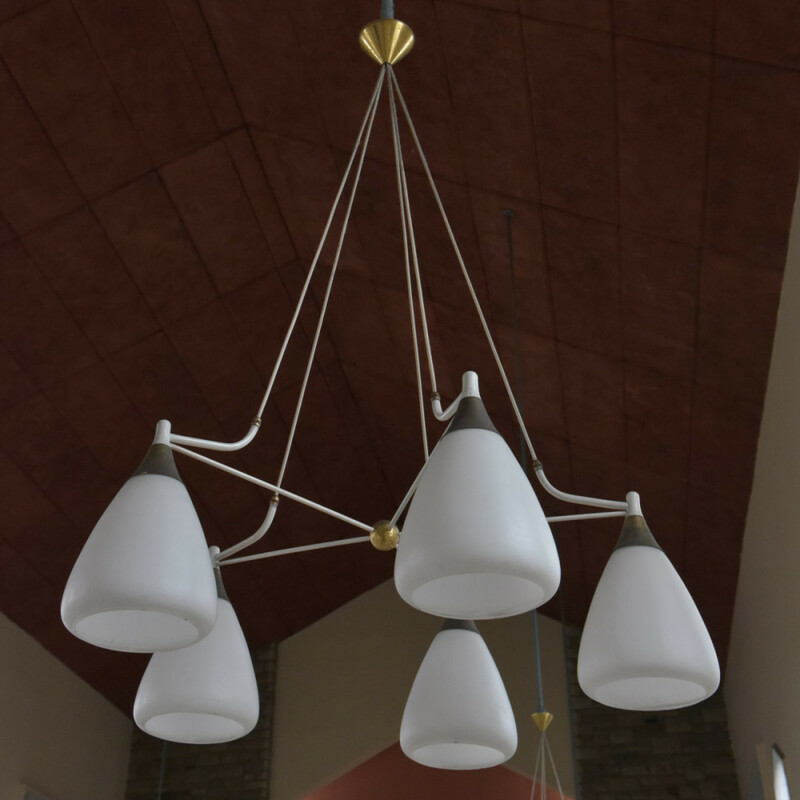 This chandelier design was created for a London based Italian restaurant. Good lighting is key to creating atmosphere and personal style in either the home or a commercial space and one of a kind pieces can only add to this magic. Image one is an antique chandelier in solid brass, for sale from Architectural Forum. This impressive large chandelier benefits from an ornate design, highlighted by the gilt work. This antique chandelier features a highly decorative design with scrolling arms and foliate decoration. This piece would make a dramatic statement in any room. 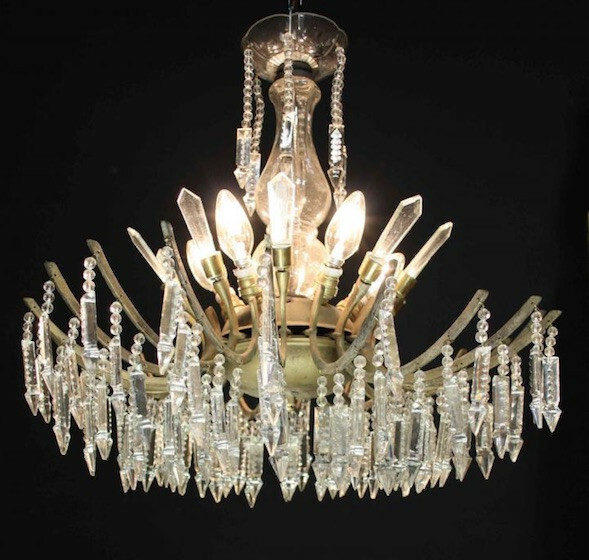 Image two is a 1930s Art Deco chandelier, for sale from UK Architectural Heritage. All their lighting is sold rewired and can be viewed working by appointment. Image three is a large 1950s chandeliers, for sale from Haes. These fine and elegant chandeliers had a past life in a Yorkshire church. They are painted and gilt brass with hand blown opaline shades. 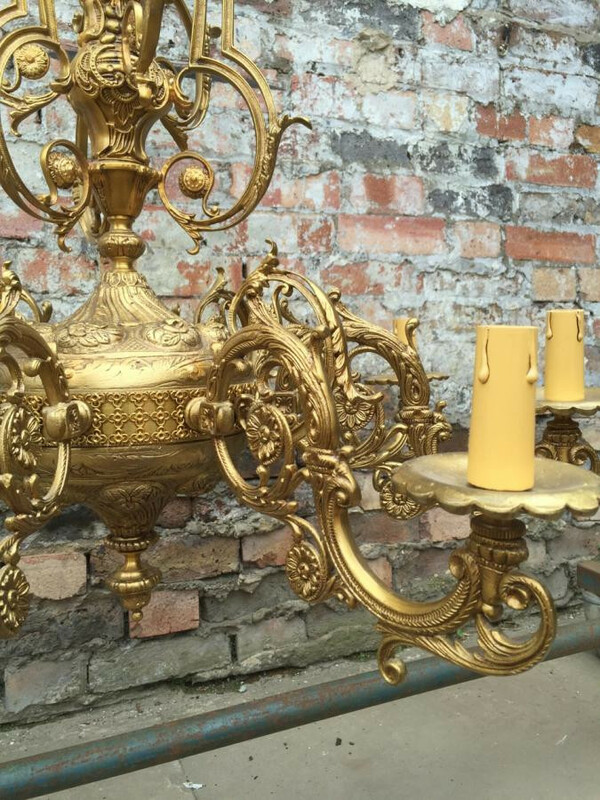 The original paint can be cleaned and polished or stripped to the original brass and then polished. The gilt finish to the shade galleries and central solid brass ball is faded and could be lightly polished and left as is or highly polished. To be sold rewired to the customers specification. 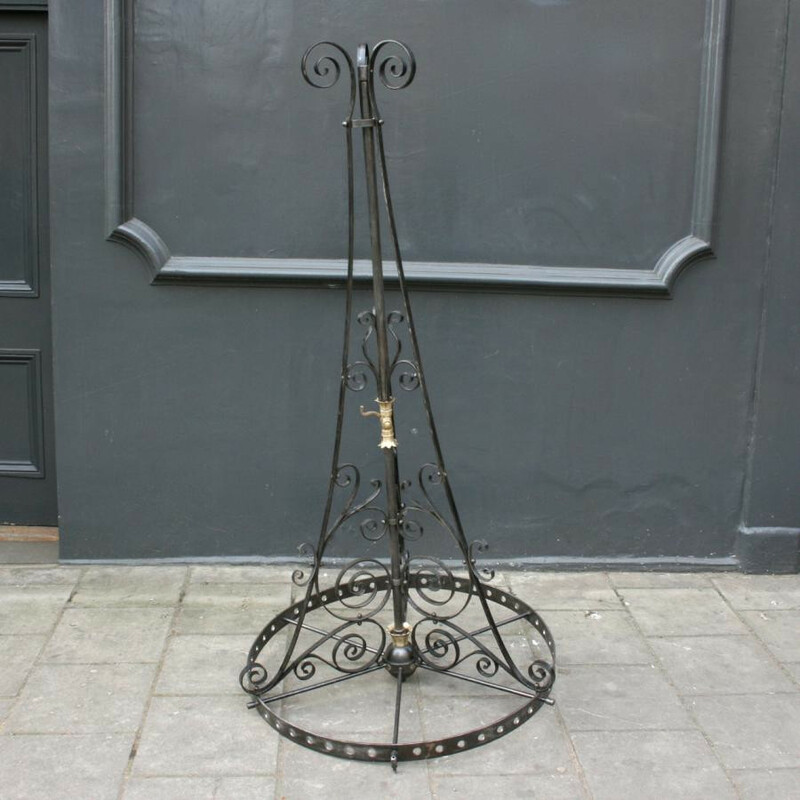 Image four is an antique Gothic revival wrought Iron chandelier, for sale from Architectural Forum. These original and impressive wrought iron chandeliers were reclaimed from a Victorian church, in West London. The chandeliers feature a grand, Gothic Revival design with wrought iron decorative details throughout. Whilst these chandeliers were originally made for gas light, for an additional cost they could be rewired for electric. Image five shows the upcycled wooden branch chandeliers created to order and for sale from Antiques By Design. Find them listed in the SalvoWEB online directory and on the SalvoWEB Recraft section. The Salvo team recommends that all lighting is checked and installed by a qualified electrician. Find more lighting design ideas at the Bellacor blog link below. Bellacor believes the home is a life in progress and their blog aims to offer design inspiration to create a home you will truly love.